James Carver accused peers of “missing the point” in pushing through the amendment to protect the status of EU citizens living in Britain within three months of triggering Article 50. He said: “It’s not that they shouldn’t be protected, but it should be done in tandem with drawing up reciprocal arrangements for the 900,000 British nationals residing in EU countries. “It would be inhumane to leave either of these groups in limbo and we need to settle their status as soon as possible after Article 50 has been triggered. Mr Carver, Foreign and Commonwealth Affairs spokesman, said he was confident the government would meet its target for triggering Article 50 despite the defeat. “It’s a shame that an unelected house would try to undermine the will of the people but it reflects the importance of UKIP in holding everyone to account,” he added. 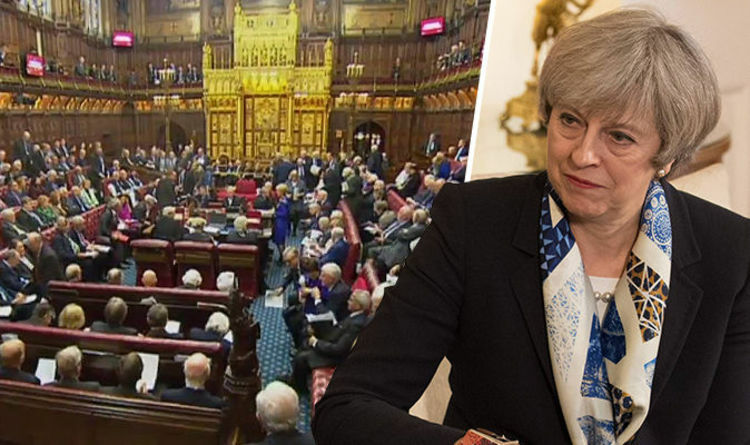 THERESA May is expected to keep to the original Brexit plan and push ahead with triggering Article 50 – despite the House of Lords’ attempt to slow down the process.